We would like to remind people of the extreme danger of playing near or attempting to walk on frozen ponds, lakes, canals or rivers. 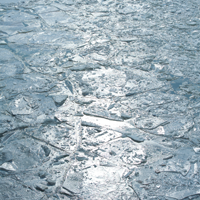 Please don’t take unnecessary risks by venturing on frozen water, stay off the ice and keep pets on a lead. Keep calm and call for help. If no help is available spread your arms across the surface of the ice. If the ice is strong enough kick your legs and slide onto the ice. Lie flat and pull yourself to the bank. If you cannot climb out, wait for help keeping as still as possible. Press your arms by your side and keep your legs together. Once you are safe, go to hospital immediately for a check-up.